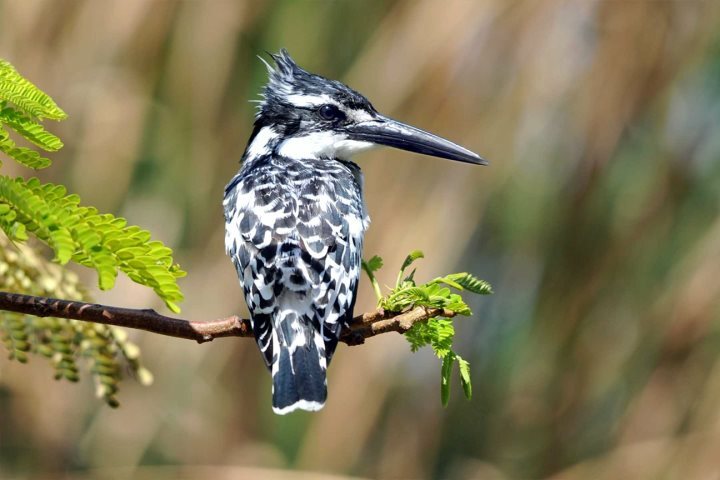 The Gambia is well known as a fantastic destination for birdwatching. There are over 540 species of birds found here, and many bird enthusiasts, such as BBC Presenter Chris Packham, return year after year. If you are wondering which hotels are best suited to wildlife enthusiasts, in particular birdwatchers, we’ve gathered together a quick rundown on the hotels we’d recommend. For wildlife with a touch of barefoot luxury try Mandina Lodges, about 40 minutes inland from the coastal resorts. 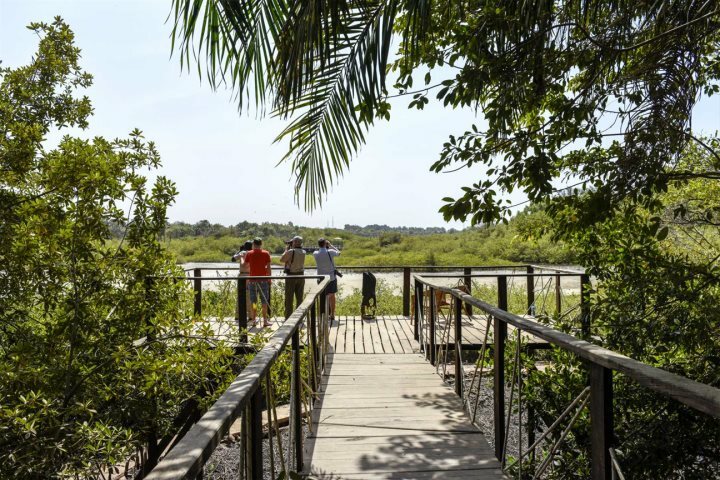 Located in Makasutu Forest by a mangrove lined tributary of the River Gambia, this is an idyllic spot where you can immerse yourself in nature with monkeys, baboons, reptiles and a myriad of birds, all regular visitors to the lodges. You’ll be assigned your personal expert guide allowing you to explore the forest on foot or the mangroves by canoe, learning about the flora and fauna of the area as you go. Visit our website to find out more about Mandina Lodges. This small, family-run hotel offers simple yet comfortable accommodation and is particularly popular with bird enthusiasts due to the tropical gardens and nearby nature walk beside Kotu Stream. In addition to this, there is also a birdwatching deck overlooking the stream –– a great spot from where to observe a wide variety of birdlife. Visit our website to find out more about Bakotu Hotel. In the heart of the Tanji Bird Reserve, this simple, small hotel by a deserted beach, is the perfect location for ornithologists. You’ll be able to spot many species without leaving the hotel grounds, as you dine under a thatched cabana overlooking the beach. Local guides are available to hire to help you make the most of the surrounding reserve and boat excursions to Bijoul Island can also be arranged. Visit our website to find out more about Tanji Bird Reserve. 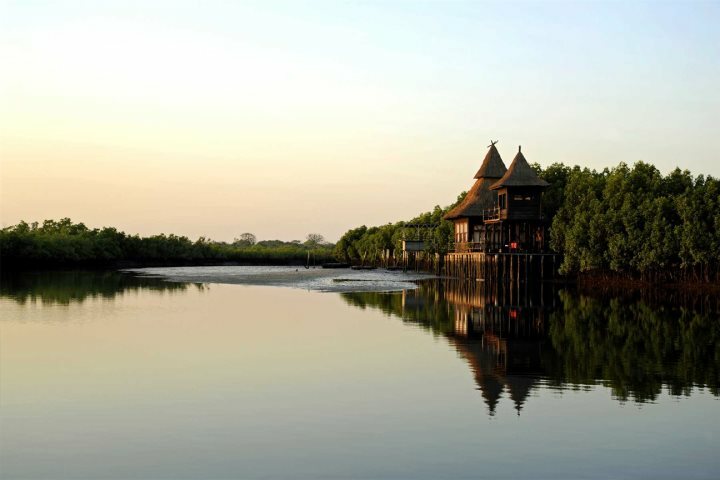 In contrast to Tanji Eco-Lodge (see below) and Bakotu Hotel, the Senegambia Hotel is the largest in the Gambia. It also offers a wider variety of facilities. 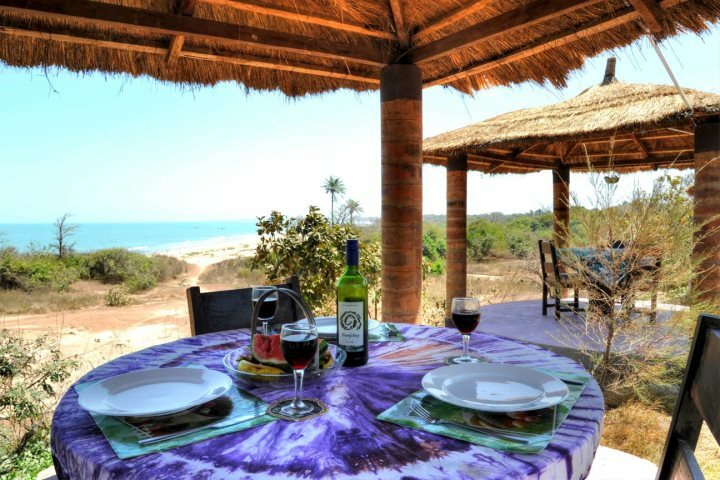 Located by the beach in the lively resort of Kololi, the Senegambia Hotel offers plenty of opportunities to find a secluded spot in the twenty acres of grounds for observing a wide variety of birds, as well as monitor lizards and monkeys. The hotel's resident ornithologist is on hand to provide tours within the grounds and it’s just a short taxi ride to a wide variety of bird habitats. Don't miss the daily vulture feeding displays in the gardens. 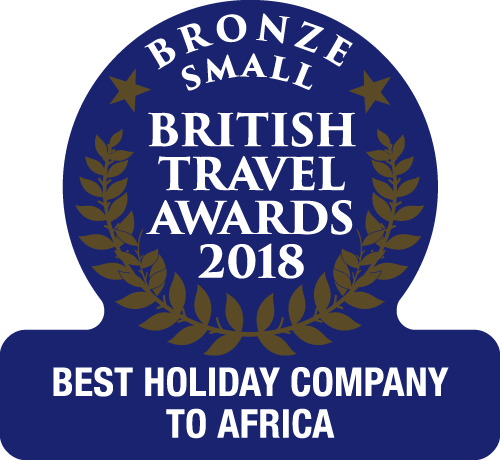 This hotel, unlike the others listed here, is also well-suited to anyone looking to enjoy the many different restaurants and bars in The Gambia’s liveliest resort, Kololi. It’s great for couples, groups and families alike and is the perfect choice if not all your party are birdwatching enthusiasts. 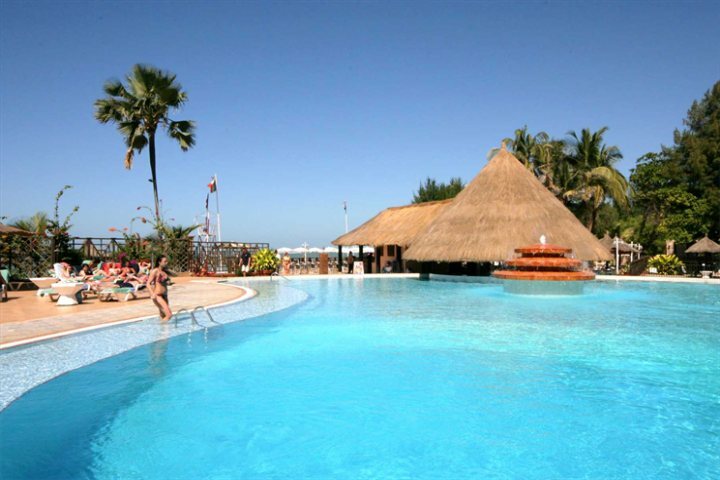 Visit our website to find out more about Senegambia Hotel. Once again, we will be at this year’s Birdfair in Rutland. Do pop by and say hello if you are there. You'll find us at marquee 8 at stands 48 & 49.